Home » Warriors from Papua New Guinea. 19th century. Warriors from Papua New Guinea. 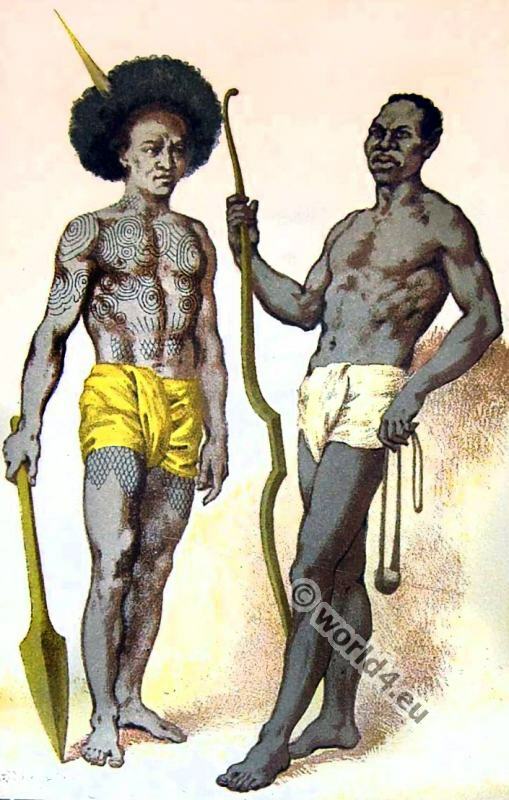 Two warriors from Papua New Guinea in 19th century. Armed with spear, bow and sling throwing. The body of a man man is tattooed with tribals. From the book: Les Races Humaines by Louis Figuier, 1880. Published by Hachette & Cie. This entry was posted in 1880, 19th Century, Asia, Australia, Indonesia, Oceania and tagged Papua New Guinea clothing on 8/13/15 by world4.